You may have already experienced the quality of our products at some of your favorite restaurants in town such as those listed on our home page. 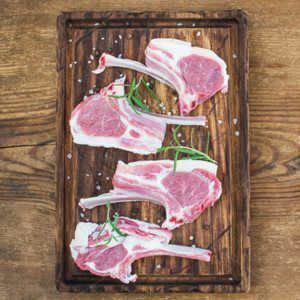 Whether you would like to have the same "steakhouse" quality meats served at your home table, special event, or if you wish to present your friends, family, employees and your own customers with a gift, we have you covered! 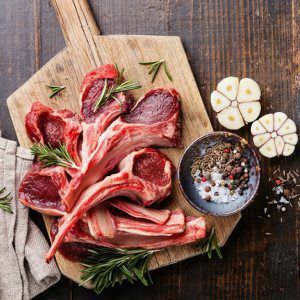 Newport Meat of Nevada offers a selection of prime items for retail purchase online and Will Call pick up. 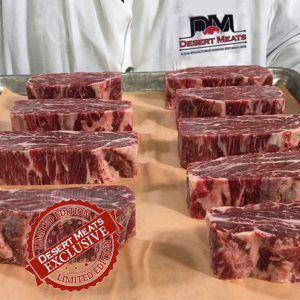 We do not deliver or have a display counter onsite but, you can learn more about who we are, the quality of our products, and why you should buy from a licensed distributor such as Newport Meat of Nevada by clicking on the ABOUT tab above. Our Will Call Window hours are Monday through Friday, 12:00 PM to 4:00 PM. For information about gift boxes and Corporate Marketing Programs, please send us a message. Box of 4 x 8 Oz. 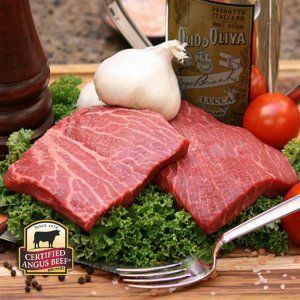 Spinalis Brick Steaks - "The Royale"
Each Brick is a combination of three pieces of the Ribeye Cap or "Spinalis".The tastiest cut on the cow", bonded together in a block of pure deliciousness, perfect for your grill, oven, or stone. 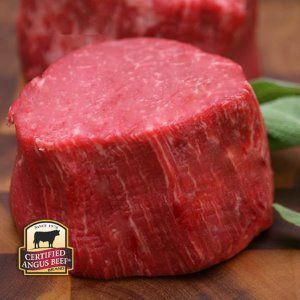 This Certified Angus Beef ® product is a Newport Meat's exclusive and its supply is limited. Enjoy while the offer is up! 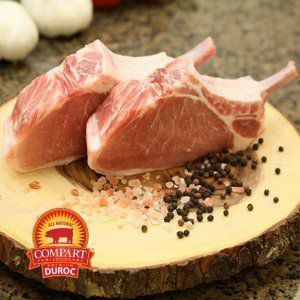 Naturally moist with no water and chemicals added, Duroc Porks are 96% lean, fed a nutritional diet and specialy bred for flavor and taste. Highly marbled for maximum juiciness, redish pink colo and higher pH increase tenderness. Filet is a steak cut of beef taken from the smaller end of the tenderloin, considered the king of steaks because of its tender, melt in the mouth texture. 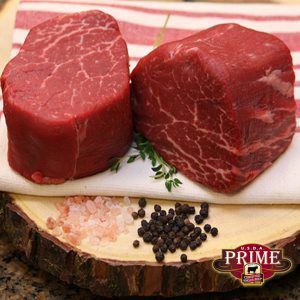 A Prime filet can literally be cut with a fork and often served with an accompanying sauce incorporating the pan juices. *Percent Daily Values are based on a 2000 calorie diet Your daily values may be higher or lower depending on your calorie needs. If you are committed to the quality of commodity USDA Prime, raise the bar with Certiﬁed Angus Beef ® brand Prime. Less than 1.5% of beef is elite enough to meet the brand’s specifications and earn its premium Prime label. 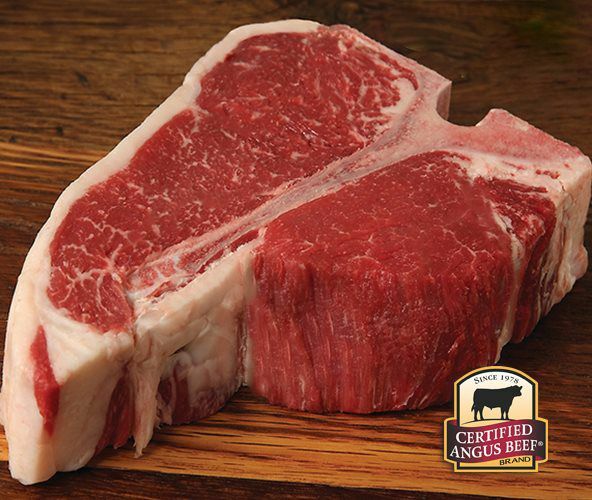 Certiﬁed Angus Beef ® brand Prime is so exclusive that it must pass nine more specifications than USDA Prime. Availabe here. Choose your option. Most chefs agree “80/20 ground chuck” – that’s beef ground exclusively from chuck cuts and trimmings and with an 80% lean to 20% fat ratio – is ideal. Some fat, as well as the marbling – the little white flecks of flavor – found inside the lean red meat, is necessary to deliver juicy burgers that don’t dry out on the grill. 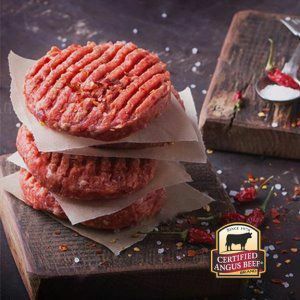 These juicy, tasty Certified Angus Beef ® brand patties are delicious on burgers and they're brilliant at barbecues! 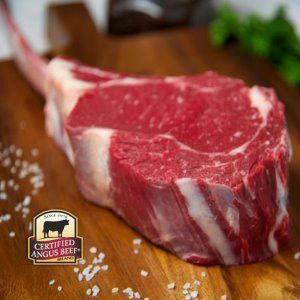 The Tomahawk Steak is an on-the bone RibSteak, cut from the Fore-rib with the entire rib bone left. The long bone is french-trimmed, leaving an amazing presentation, and dinner table discussion point. Porterhouse Steaks are a full size Filet Mignonand full size Strip Steak all for you. The Porterhouse, ""The King of the T-Bones"", boasts a plentiful portion of tenderloin. It's like having an entire Filet Mignon and Strip Sirloin on your plate! 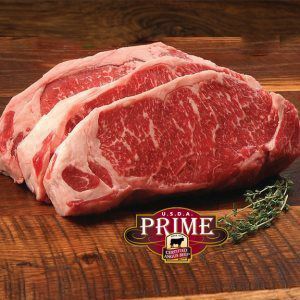 Learn more about CAB® Prime on our "Meat Quality" Page under the ABOUT tab and taste the difference on your tongue.